Here is a list of the top topical fat burners of 2019 you can ever find! There are two basic kinds of fat burners being sold today. The first one is the dietary supplement that is taken orally. These products contain active ingredients that help the user burn fat by increasing metabolism, suppressing appetite and enhancing the fat burning process. The features of one product are different from others. The second kind of fat burner is the topical formula which is applied to the area where you want to reduce fat. Most people are skeptical when it comes to this kind of fat burner, but many active ingredients are already proven to be effective. You just need to know how to find the best topical fat burners. Are Topical Fat Burners Safe? There are hundreds of topical fat burning products being sold today. It would be very difficult to check each product carefully, so we have done the hard part for you. Considering the most important criteria mentioned previously, we have come up with the top topical fat burning products on the market. On top of this list. we have the best (which is shown by the results and feedback of people who bought it and tried it) product for fat removal in today’s market. The manufacturers of this product like to call their creating a “fat emulsifying gel”. Dermacut is among the best topical fat burners because most users say it is effective and it is not connected to any serious side effects. It is perfect for those who have problem areas like stubborn belly or thigh fat. It is specially designed for the anatomical built of men. It is great for getting rid of the final few inches that just won’t go away even with a very strict diet and regular exercise. This is the secret of many people in achieving that ripped look. It uses Adiposlim and Adipoless which are clinically proven ingredients for fat burning. Now, spot reduction is made possible without having to undergo liposuction. One 4 oz. container is being sold for $34.97 online. Read Dermacut review to know more. Coming up second, we have the Slim Diet Patch. Just by judging from this product’s name you can guess what it has to offer. 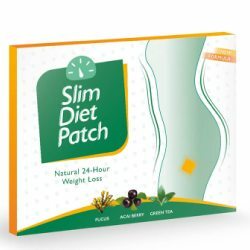 Slim Diet Patch is primarily a unique pad that helps with weight loss. The ingredients used in its formulation are claimed to be assimilated into your bloodstream from the patch attached to your skin. It has incorporated an advanced nutrient delivery method. This system allows high absorption of nutrients to the body. These nutrients are claimed to be enriched with vitamins that aid in burning excess fat and calories all through the day. This ensures that your physique slims down in an ideal way. However, the brand has failed to provide the full ingredients list of this product.The ingredients that we know of are: Green tea leaf extract, seaweed extract, acai fruit extract. These three ingredients are very beneficial to the body and very effective in cutting down weight. Also, it is relatively expensive compared to other products that serve the same purpose. Additionally, it lacks past users reviews hence it becomes hard to know if this dietary patch really works as claimed or not. The decision whether you should try this or not should not be just your own. Read Slim Diet Patch review to know more. Lipoderm Ultra from Avant Labs is also among the most popular topical fat burning products today. It works by activating targeted fat reduction in the area where it is applied. It utilizes a number of ancillary fat-fighting ingredients which decrease nutrient uptake and insulin sensitivity in the fat cell. This prevents the storage of new fat in the area. It also works to enhance the fat burning process to get rid of fat in the area offering a fast slimming effect. The complete ingredient list is given on their website, which is definitely a plus. While we are talking about ingredients, here is the full list of them: caffeine, Yohimbe HCI, octopamine HCl, synephrine, sesamin, acetyl-carnitine, ascorbyl palmitate, lecithin, benzyl alcohol, water, isopropyl alcohol, I-menthol, triglyceride complex, n-methyl-2-pyrrolidinone, laurocapram, and carbomer. As you can see, the list is quite big and most of these ingredients aren’t that common and well-known. Most feedbacks say it works, but some feedbacks say it isn’t very effective and only offers a slight fat reduction.One thing is for sure, it won’t give everyone the same effect. It is being sold for $34.95 (4 oz. bottle). Read Lipoderm Ultra review to know more about this product and get familiar with every aspect of it. The number four spot is reserved for AB-Solution Plus. AB-Solution Plus is a relatively new product on the market, however, that didn’t stop it from spreading pretty fast. 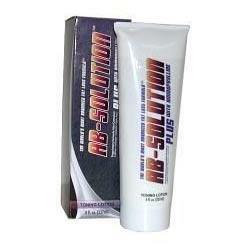 AB-Solution Plus is another very popular topical fat burning product on the market. There are many good reviews on this product, but there are also some negative reviews saying it isn’t very effective. It is clinically proven according to the product’s website, but there are no details provided on the clinical study conducted on the product. It is still a good product since many people say it works. The active ingredients are caffeine, Yohimbe, usnic acid, and aminophylline. Some users say the product just causes water loss in the area since it contains caffeine. One 8 oz. container is being sold online for $83. There isn’t much information about the manufacturers behind AB-Solution Plus, which is definitely a huge minus as that makes the product suspicious. The company’s name is Vyotech, and that’s basically where the information about it ends. It isn’t that well-known and they don’t have their own official website. They do have a profile on Facebook where they post their stuff. The product just may be effective, but there are still flaws that must be corrected, such as more info on the manufacturers. The fifth place is held by Lipo Redux. The company behind this product is called SAN and it is located in the United States of America. 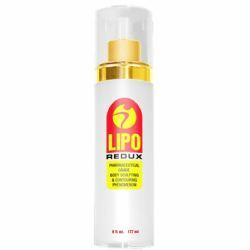 Lipo Redux is one of the hottest topical fat burning products for both men and women. The active ingredients are raspberry ketones, caffeine, coleus forskohlii root extract, Corynanthe Yohimbe bark extract, and Octopamine HCl. The product is very popular in online discussion boards, and forums and many people say it works. The problem is the fact that most of the active ingredients are not clinically proven to reduce fat when applied to the skin. The product itself has also not undergone clinical testing, so there is no proof that it is effective. Some users also stated experiencing skin irritation shortly after applying Lipo Redux. It is being sold online for $34.95 (6 oz. container). All in all, Lipo Redux is very easy to be used. The fact that it contains caffeine is reassuring, to say the least, as caffeine is one product that definitely gets rid of excess water from the body. Yes, it is true that other ingredients aren’t proven to have the same function, but the formula worked for some people. Coming in last, but not least, we have the Fat Girl Slim product. As you can see from the name, Fat Girl Slim is made specifically for women. Fat Girl Slim is an excellent product that helps make the skin firmer and reduce the appearance of dimples. This is not a fat burning product but many users say it has an excellent slimming effect especially in problem areas of women like the thighs and buttocks. It uses caffeine to address extra water in the area. This product is included in our list because of the numerous positive feedbacks from customers. One 6 oz. Container is being sold online for $36. When you’re in the market for a topical fat burner, you need to look for a couple of things to make sure that it is not just effective but also safe. First of all, check the reputation of the manufacturer. If it has an established reputation for offering high quality and effective products, then this is a good sign. Secondly, you need to look for active ingredients that are clinically proven to be effective and safe. Of course, it would be an excellent sign if the product has been clinically proven to be effective and safe by an independent laboratory. Thirdly, you can check customer feedbacks or what is being said by people who have tried the product you’re considering to purchase. The market is absolutely full of products of this type. To be honest, most of them aren’t effective and are actually harmful to your body. The ones that you will see here are carefully chosen from the bunch as they are the most used ones. In some cases, which you will see below, a full ingredients list isn’t published, which immediately raises the red flag. You have to read the ingredients list first and then consult with your doctor. If he advises you to go for it, then you should try the product. Most people forget to do so and end up getting sick or worse. So, even the proven ones can be very harmful to you if you don’t use it accordingly or if you use it regardless of what your doctor said. Not all ingredients are 100% tested, however, most of the ingredients that can be found in products mentioned below are pretty common. There are some exceptions though! The feedback coming from buyers also tells the same story. There are both positive and negative comments on whether they are harmful or not, but no severe damages were dealt by-products mentioned here. There are negative comments about them, but most evidence suggests that they aren’t harmful. Is Spot-Targeting Fat Deposits Really Possible?